“I think WADA are in a crisis”. That’s the message from British Paralympic powerlifter, Ali Jawad, who has come up with The Alternative, a series of recommendations to improve governance at the World Anti-Doping Agency (WADA). Jawad is keen to emphasise that athletes signing up to support his plan just want WADA to listen to them. However he is also focussing on turning The Alternative into The Reality. 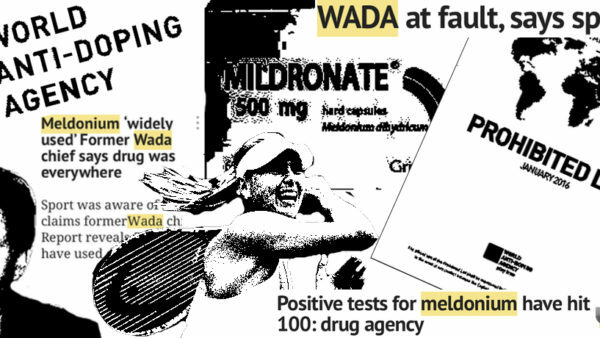 “Right now, confidence in WADA is lower than it’s ever been”, he explains. 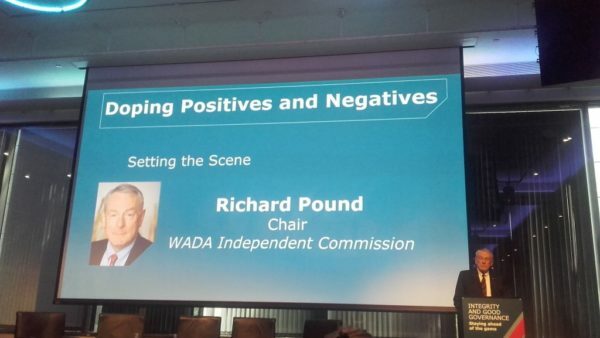 “Athletes can see that WADA are in a crisis, and they genuinely want to help. We are not about criticising anybody. We just want a strong WADA. We do not want an alternative WADA. We want WADA to function, and we want it to be the best it can be. Tomorrow, the Foundation Board of the World Anti-Doping Agency (WADA) will meet in Baku, Azerbaijan, where it will hear recommendations from its Governance Working Group on how to strengthen WADA’s governance structure and ensure its independence. The Committee was proposed at WADA’s Foundation Board meeting in 2016, and is understood to have begun work earlier this year. Both Jawad and the Working Group agree that the WADA President and Vice President should be more independent. The Working Group has yet to define the level of independence it is advocating, but The Alternative is clear. ‘Someone that does not have a material or pecuniary relationship with the sport movement (not holding any elected, appointed or paid position in sport) or governments (either at minister, parliament member or any other related bureaucratic position); and that is not connected to any related persons in those functions; and is free from outside control; and is not depending on another’s authority within the last 6 months before being elected’, it reads (PDF below). ‘No member qualifies as ‘independent’ unless the WADA Foundation Board affirmatively determines that the member has ‘no material relationship’ with the organization, either directly or as a partner, through the sport movement, government or as an officer of an organization that has a relationship with WADA’. However where the Working Group falls short is gaining more athlete representation on WADA’s Executive Committee and Foundation Board, argues Jawad. “I think that we have similar views on the independence of the President and the Vice President, but the other points we make, they’ve not really considered at all”, he argues. “These are more athlete representation; increasing the athlete voice; basically an athlete having a vote at the table. ‘The Alternative is the culmination of a series of ideas and proposals made and considered over the past couple of years by members of the global athlete community’, reads the document. It is therefore not hard to see how a suspicious, paranoid mind might conclude that it is part of some sort of political plot. Jawad laughs at this suggestion, but offers a serious response. So have WADA listed to the athletes and engaged with their proposals? “We didn’t receive an official response from them”, said Jawad. “We did see a tweet from WADA saying that they’d consider it. But there has been no official public response to it. They did contact me directly to talk about it. I’m glad that they did reach out, and we had a conversation about it. I’ll just have to keep pushing from my side. Jawad says that athletes began to discuss how they could make their voice heard due to widespread anger over how WADA and sport handled the situation regarding the Russian doping scandal. He argues that firstly, athletes were angry about the fact that Russia had overseen a systemic doping programme for a number of years but, secondly, at sport’s response to it. WADA suspended the Russian Anti-Doping Agency (RUSADA) in November 2015. 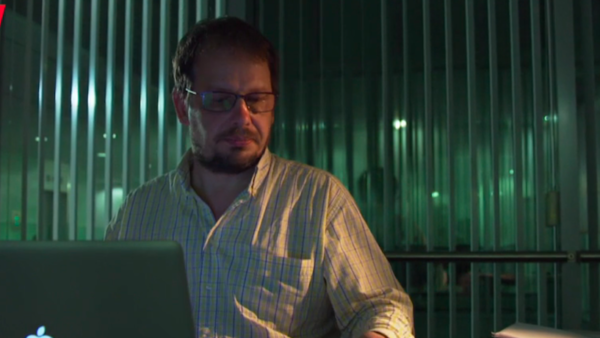 This was over a year after the Mail on Sunday told the International Olympic Committee (IOC) about what was going on in Russia; and almost a year after Hajo Seppelt and his team brought the allegations to a wider audience. Paradoxically, WADA’s suspension of RUSADA meant that no athletes in Russia could be tested, and the Rio Olympics was nine months away. Faced with this conundrum, the IOC argued that to ban Russia from competing in Rio would be unfair on ‘clean’ Russian athletes. With less than two weeks to go, the IOC decided to place the burden on international federations for deciding whether Russian athletes were ‘clean’ enough to go to the Olympics. This created chaos, including a situation where a volleyball player from the US was allowed to compete in Rio and another from Russia was not, despite both having been given the same prohibited substance, meldonium, by their team coach at the same time. Understandably, this situation did not create a good impression amongst athletes. “When this whole thing came out, we were really angry”, explains Jawad. “We didn’t think that WADA was quick to react. We didn’t think that they protected whistleblowers very well. The fact that Russia was still allowed to potentially compete at the Olympics – apart from in athletics and the Paralympics – made athletes really angry. “We thought that we needed to do something to make our voices heard somehow. Because right now, we’re not being listened to, and we feel like there’s a massive disconnect between the athletes and WADA. They don’t seem to take our opinions seriously. We wanted dialogue. We wanted them to hear us out, and hopefully take our views on board. • The responsible authorities for anti-doping in Russia must publicly accept the reported outcomes of the McLaren Investigation (aka Independent Person Investigation). This includes: RUSADA, the Ministry of Sport and the National Olympic Committee. • The Russian Government must provide access for appropriate entities to the stored urine samples in the Moscow Laboratory that are sealed off due to a Federal investigation. WADA’s Compliance Review Committee (CRC) recommended (PDF below) that the first condition be deemed satisfied ‘if the Russian authorities acknowledged the findings of the Schmid Commission, including in particular the finding that “a number of individuals within the Ministry of Sport and its subordinated entities” were involved in the “manipulations” of the anti-doping system in Russia’. 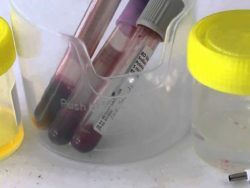 It also recommended that ‘if the Russian authorities committed unconditionally to provide WADA by a specific date in 2018 the access to the data and samples sought by WADA Intelligence & Investigations Department, i.e., (i) an authentic copy of the analytical data stored on the hard drives of the laboratory instruments that generated the LIMS data; and (ii) (where review of that analytical data indicates that re-testing should be undertaken) access to the samples stored at the Moscow laboratory for re-testing purposes’. As outlined in the above document, Russia’s Minister of Sport, Pavel Kolobkov, left it until 13 September to reply to a 22 June letter from WADA’s President Sir Craig Reedie, outlining WADA’s amended requirements. As previously reported, it is subject to debate as to whether Russia met WADA’s amended requirements. ‘To move forward to reinstate the compliance of RUSADA, I agree to accept the two remaining conditions in the Roadmap that were referred to in your letter of June 22, 2018, and subsequent discussions’, reads Kolobkov’s 13 September letter. ‘The Russian Federation fully accepted the decision of the IOC Executive Board of December 5, 2017 that was made based on the findings of the Schmid Report’. 1. Access to both the samples and the LIMS database depends on the ‘consent’ of the Investigative Commission of the Russian Federation (SKR or Sledcom). 2. 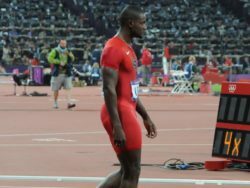 The Russian Ministry of Sport will be providing the independent expert used to analyse the LIMS data and samples, which WADA will be required to approve or reject. 3. 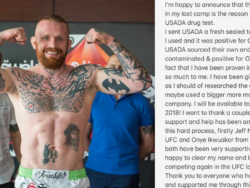 The independent expert will only be provided with access to analytical equipment to retrieve the LIMS data and urine samples – not access to the data and samples themselves, and not the full access to both, as originally sought by WADA. 4. The independent expert’s access to the analytical equipment must be supervised by the SKR. Jawad is prepared to see this from WADA’s perspective. “From WADA’s point of view, Russia weren’t doing anything”, he points out. “As a regulator, they wanted to help them towards reinstatement. Part of that deal was, why not get access to the Laboratory, to the data, so that we can prosecute more athletes, so that clean athletes will get the medals that they deserve. Jawad argues that for athletes, the question over whether Russian athletes should be competing comes down to whether an athlete can be certain that a Russian competitor is clean. However, he argues that it is also worth considering that Russian athletes who were competing at international level may have been aware of the systemic doping that was taking place in their country, even if they were not doping themselves. “For me, the argument about the clean athletes comes back to the McLaren Report. It was quite clear. If you are on the national programme and compete for Russia on the world stage, you’ve been exposed to that sort of environment. I’m not saying that there aren’t any clean Russian athletes out there, but I feel that the majority that you are competing against might not be. At WADA’s recent Media Symposium, Reedie attempted to argue that WADA’s alterations to the Roadmap were public knowledge. He said that internally, suggestions had been made about changing its Roadmap to Compliance in June. “Nobody said anything”, he added. He also said that when Kolobkov sent his letter of reply to him in September accepting the amended conditions, “nobody said anything”, adding that a “firestorm” only began when the letters were leaked to the media, who were previously not aware of the amended conditions. WADA’s internet site lists a meeting of the Compliance Review Committee on 14 June, however no media release was issued explaining the outcome of that meeting. 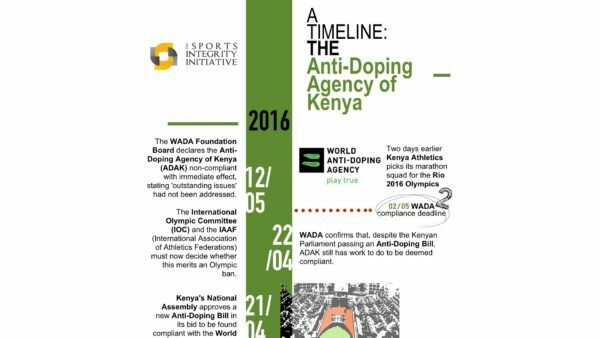 Also, the above letter from the Compliance Review Committee says that it met on 19 June, not 14 June as WADA’s internet site claims. Kolobkov’s 13 September letter was leaked to the media, after which WADA issued a 15 September statement detailing a series of letters between Reedie and Kolobkov. Although WADA could have perhaps responded sooner, it had only received Kolobkov’s letter two days earlier. However, the fact that it had been negotiating with Kolobkov about how RUSADA could be declared compliant, as well as the way in which it backed out of its original requirements, did not go down well with athletes for the reasons already explained by Jawad. As previously reported, WADA’s climbdown also puts the International Association of Athletics Federations (IAAF) in a very difficult position. Jawad is referring to a proposal that WADA Presidential candidates are over 45 years of age and hold a Masters Degree, which was recently condemned by Athletes for Clean Sport. The proposal would exclude both Linda Helleland and Witold Bańka, who are both considering standing to replace Reedie as WADA President in 2019. “I thought it was outrageous”, says Jawad, echoing the sentiments of many. “I contacted WADA about it, and asked whether this had come from them because if so, then they would be shooting themselves in the foot. They were adamant that they would not entertain it. Yes, perhaps privately they won’t entertain it, but they didn’t publicly condone it, which allowed athletes to feel that this was tolerated. Shortly after the proposal became public knowledge, Bańka reportedly called for Helleland to stand down as a potential Presidential candidate. He also attacked the proposals put forward by Athletes for Clean Sport as ‘highly political’, an accusation Jawad has already described as “hurtful”. Bańka is Poland’s Minister for Sport. Next year, the Polish city of Katowice will hold WADA’s fifth World Conference on Doping in Sport, which will discuss the 2021 World Anti-Doping Code. WADA has argued that the proposal was put forward by the public authorities representative for the Africa region, and is not on the agenda for discussion at Baku. The BBC has since reported that Sergey Khrychikov, the Head of the Sports Conventions Division of the Council of Europe, helped draft the proposal in order to identify a single Presidential candidate to be put forward by the public authorities. He is also a member of the Supervisory Board of RUSADA. On Halloween, WADA received another scare , when the White House Office of National Drug Control Policy (ONDCP) and the United States Anti-Doping Agency (USADA) held a meeting to discuss WADA reforms. The Washington Declaration followed, which called for five key reforms to WADA. This was supported by many more NADOs than the 18 which had called for WADA reform a few days earlier. Jawad could not attend the Washington meeting, and WADA claims that it was not invited. “If my maths are correct, 178 countries were not in Washington yesterday”, said WADA’s Director General, Olivier Niggli a day later. “I couldn’t believe the turn out”, said Jawad. “There were many athletes there, NADOs, government officials…that, to me, was proof that people wanted change. If that wasn’t the biggest indicator that it wasn’t just America, it wasn’t just Canada. We are talking about 37 NADOs wanting change. “I guess from WADA’s point of view, the meeting was one sided, but at the same time, anti-doping has for a long time been one-sided in favour of WADA. We need to do something to send out a message to say that we’ve had enough now. WADA needs to listen to its biggest stakeholder. At WADA’s Media Symposium, its management argued that proposals for change were being put to the wrong people. Athletes and NADOs should be talking to their partners about reform, rather than publicly attacking “the driver of the car”, said Niggli. WADA is 50% funded by governments and 50% by the sports movement, but it must approach governments for funding increases, which are then matched by the IOC. “My main issue is how quiet the IOC have been throughout this”, explains Jawad. “They fund half of WADA’s budget. I think that they have maybe contributed to the decisions taken by WADA. “I think that WADA want to help – I genuinely do. I think that they want to implement some of the stuff in The Alternative. I do believe that WADA are there for clean athletes. But unfortunately, they’ve not showed leadership and they’ve not been that strong. I think they’ve let their stakeholders dictate things a little more than they should have. For Jawad, garnering athlete support for The Alternative has become a vocation. “I actually don’t want to do this!”, he says. “I’m an athlete trying to be the best that I can be, and this is a huge distraction for me. But, I believe in anti-doping. As a clean athlete who is following the World Anti-Doping Code, I need to do something. They’ve let a lot of clean athletes down, and it’s athletes they claim to represent. “My view is that even though I don’t want to do it, it has to be done. The future of clean sport is at stake, and if we don’t do this now, I think that we’ll see a huge backlash, which is already happening, and we don’t want that. Whether WADA will do that remains to be seen. Perhaps at tomorrow’s Foundation Board meeting, it will decide to engage with suggested reforms, rather than fighting against them. If not and Jawad is successful in promoting The Alternative, then eventually it may have no choice.